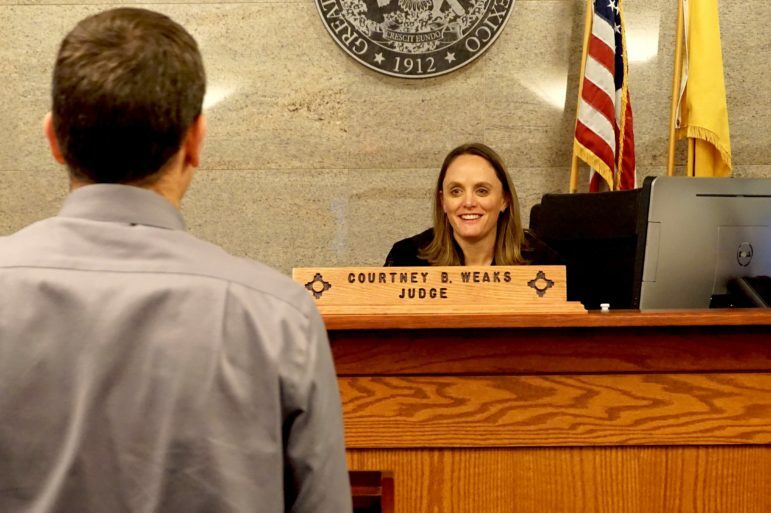 Judge Courtney Weaks presides over Bernalillo County Metropolitan Court’s Domestic Violence Early Intervention Program. Jaime was just 19 years old when a fight with his girlfriend escalated from what he describes as “a lot of back and forth petty stuff” to a conflict that saw him facing misdemeanor domestic violence charges. Around the same time, he’d survived an attempted homicide and was coping with the news that his daughter was on her way. Rather than pursue a conviction, Bernalillo County Metropolitan Court offered him a pre-prosecution alternative: the Domestic Violence Early Intervention Program. As part of that program, he participated in group and individual counseling sessions and parenting classes for six months. It’s the same amount of time his daughter has been alive. “I’m excited for her first everything,” he said. The CJ Project is withholding Jaime’s last name to protect his identity; the goal, in keeping with the early intervention program, is to prevent this one mistake from shadowing the rest of his life. Bernalillo County Metropolitan Court runs 11 specialty courts to address recurring or unique issues, including substance abuse, animal abuse, veterans, behavioral health, and two take aim at domestic violence. The Domestic Violence Early Intervention Program tries to catch first-time offenders like Jaime and connect them with services and counseling before misdemeanor charges escalate to felonies. Its more intensive, longer-term counterpart, the Domestic Violence Solutions, Treatment, and Education Program, is for individuals with multiple domestic violence charges. Both mandate regular meetings with a probation officer and judge, as well as drug tests, counseling, and parenting classes, and a set number of hours each week spent working, at school or volunteering. The aim is to increase accountability, build resilience and coping strategies and break a cycle that sees the same people coming through the justice system on domestic violence charges, and then sees their kids falling into that cycle years later. Judge Rosemary Cosgrove-Aguilar presides over the Solutions, Treatment, and Education Program. 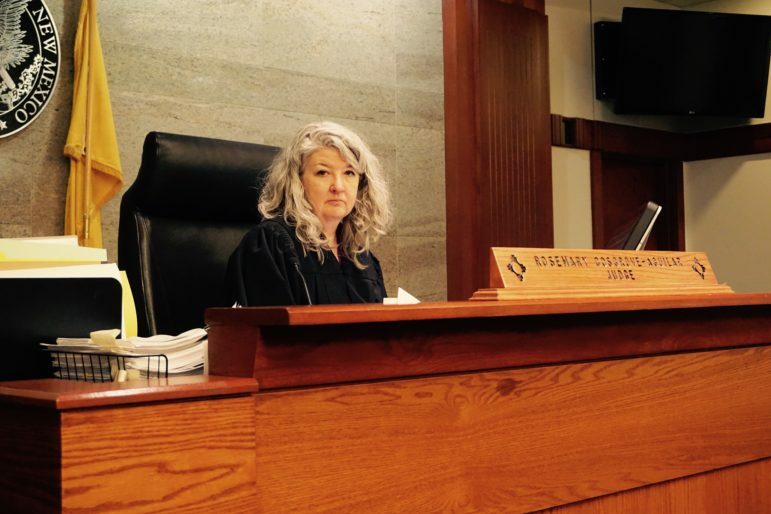 “We believe we have the tools to help people change their lives,” said Judge Rosemary Cosgrove-Aguilar, who presides over the Solutions, Treatment, and Education Program. Between 2008 and 2015, 80,000 arrests were made for domestic violence charges, according to a legislative committee report, but only 48,000 individuals were arrested in that same time frame, indicating a high number of repeat arrestees. The Legislative Finance Committee commissioned a review in 2017 of programs for domestic violence offenders and perpetrators in an effort to examine how to efficiently spend the money sent to the Children, Youth, and Families Department for these programs. The report details measures the state could take to coordinate services and the search for effective models. 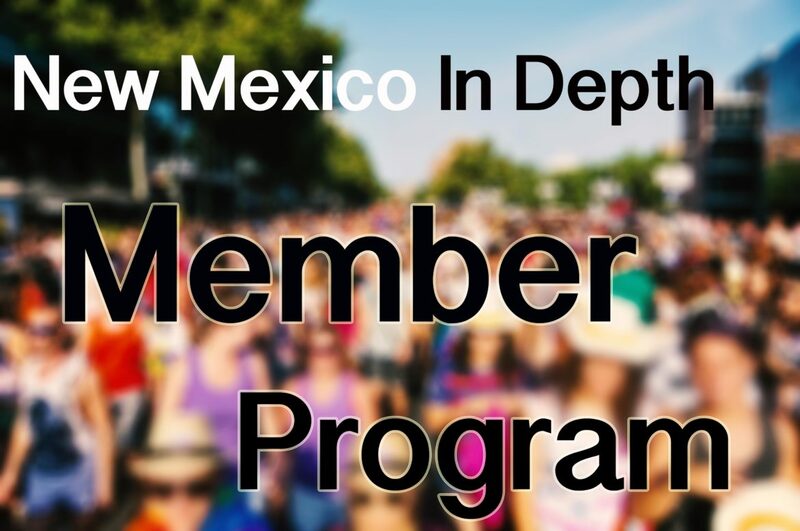 Their results found varied success in so-called batterer intervention programs around the state, but the model for treatment that Bernalillo County refers at least some participants to seems to be one that’s working. Jaime’s was one of half a dozen cases brought to a close in December. Weaks skipped donning her robe or sitting behind the bench, and instead came around closer to the gallery where participants sat to talk to about jobs secured, volunteer work done, goals like finishing a GED or other professional credentials, and ongoing sessions with therapists. “I realized what my problem was and I’m working with my therapist in order to resolve the problem,” one participant said. His hope, he continued, was to then be able to see his 7- and 10-year-old daughters again. “It’s been a rocky road but he’s here today, and that’s a big victory,” a probation officer said about another participant. Of the 596 participants who “graduated” from the Early Intervention Program between 2013 and 2015, only 44 have been re-arrested on domestic violence charges, a recidivism rate of 7.4 percent, according to Metro Court. Among the 56 individuals who enrolled but did not complete the program, 14 were re-arrested for domestic violence, a recidivism rate of 25 percent. The Domestic Violence Solutions, Treatment, and Education Program has undergone enough changes since Cosgrove-Aguilar took over the program in early 2016 that it has reset the numbers on its success rate. Eleven individuals have completed that one-year program—all of whom came in with repeat arrests for domestic violence—and the only violation among any of them is a single traffic ticket. As of December, 15 men were participating in the program after charges that include telephone harassment, stalking, violating a protection order, and battery, with two more expected to start in January. Cosgrove-Aguilar picked up her monthly meeting with them with deft familiarity, asking about recent trips, current work, family visits, and ongoing custody cases. “I see everything changing, not just in group,” he responded. In addition to encouragement and well wishes for the year ahead, she also called them out when they’ve missed a session. Several are simultaneously enrolled in substance abuse programs, making for a long list of appointments to manage. She reminded one of them to get a calendar. That kind of suggestion is a marker for how this program has shifted in recent years, adopting a model from the National Association of Drug Court Professionals that abandons punitive responses in favor of more collaborative work. When the session ended, the participants gathered and lingered, swapping contact information about possible jobs, checking in with one another. Some are in the same group therapy sessions, and they’ve gotten to be friends over the months. “Over the last 30 years, we’ve learned that just shame and blame is not going to get these people to be the best people,” she said. The hope is that the tools they gain through these specialty courts will reduce triggers and teach them how to say no to the situations that brought them to the program in the first place, she said. Helping batterers change that behavior could reduce the violence in their existing or future relationships. 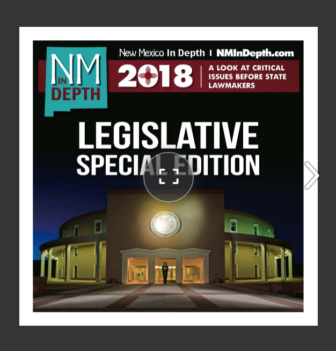 One struggle has been getting people into the program at all, said Josh Boone, a prosecutor and supervisor for the Bernalillo Metropolitan Court division with the district attorney’s office. The District Attorney’s office doesn’t track this statistic, but statewide numbers compiled for the Legislative Finance Committee found only about 35 percent of domestic violence cases end in convictions. Misdemeanor cases can be particularly tough to prove, because there’s rarely physical evidence. So, compelling a first-time misdemeanor offender to join a program that means six months of counseling and a mandate on the hours he or she works each week can be a tough sell.